Alright, 2018’s done, my big ol’ annual music writeup’s been published, and now all that’s left on my plate is rebooting this place. First of all, thank you so much for your patience throughout For Great Justice’s hiatus the last several months. It should operate at normal capacity again starting this month, with the three usual seasonal coverage articles as well as Weekly Rundowns over on my Twitter. Our little hiatus from covering anime didn’t extend to me taking a break from actually watching it, however! In addition to a handful of movies, I completed 31 seasonal series and dropped 38, making good on my resolution to be a bit more selective about what I do with my time this year. 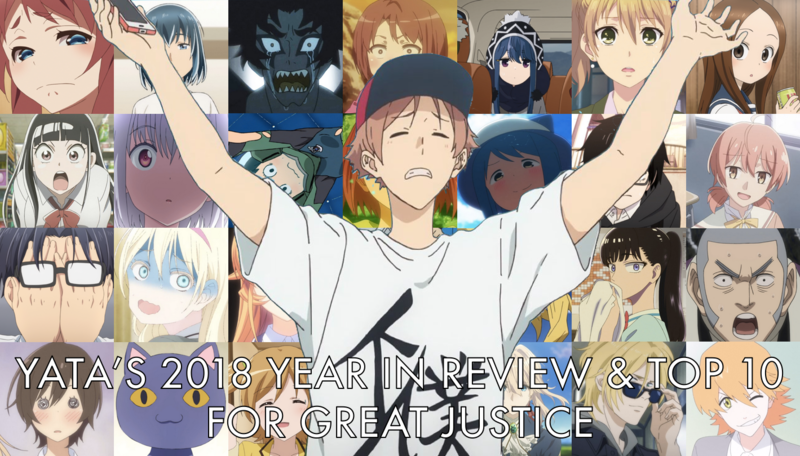 The dedicated otaku among you are bound to be familiar with most or all of these titles already, but the goal of this list isn’t just to recap what I loved this year. I’m also aiming to give people who don’t follow seasonal anime often or at all an idea of what they might enjoy from 2018 regardless of whether or not I did. Still, I’m gonna be pretty blunt about what I personally thought of these shows, so if you loved something I couldn’t stand or vice versa, do not view any of what follows as a personal attack. These are just my quick, oversimplified takeaways. As usual, this will be done in tiers until the Top 10, which all get their own dedicated entries. We’ll start with the worst of the dropped titles then gradually move up to the completed, more positive ones. Sound good to y’all? I’m ready. I’m more than ready. Welcome to my 2018 in anime! Hey, everyone! Sorry we’ve been a little slow in such a busy time of the year. Instead of running down the year’s best shows on a show-by-show basis, we thought of something a little more unique. A little more flashy. A little more fun to do. Yes, that’s right, Haru and Yata have come up with 33 categories and brainstormed who and what deserve these prestigious (?) 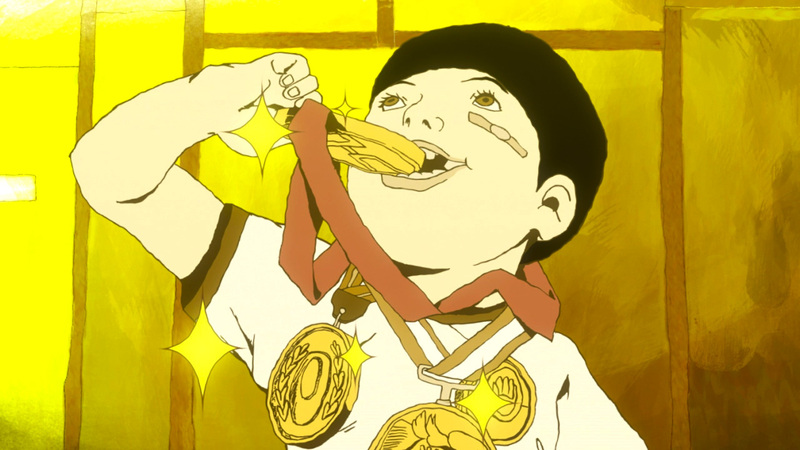 anime-related awards from the year 2014. There are a lot of repeated winners – after all, this is to recognize what we thought were the best of the best and the worst of the worst, and as the saying goes, the cream rises to the top. We agree a lot, though occasionally we felt it necessary to deviate from each others’ opinions. Below are our award winners and explanations. Have a blast reading, and if you’d like, feel free to comment with your own winners.